Due to the growing share of renewable power generation, which cannot be controlled by the most important sources of energy wind and sun, and the displacement of the controllable thermal power plants, balancing producer and consumer outputs becomes increasingly demanding. These rapid and large fluctuations in production present ever-increasing problems for the network operators because they must provide the power consumers with good energy quality, i.e. stable voltage and mains frequency. In the worst case, a power failure occurs. The major challenge of the increasing share of renewable energies in the energy mix is thus to compensate for the fluctuating demand for electricity and the severely fluctuating wind and solar power supply. Flexible solutions are required for rapid load variations and stabilization of frequency fluctuations (control power). Why are energy storage devices necessary? Wind and solar energy do not always produce the same amount of power. 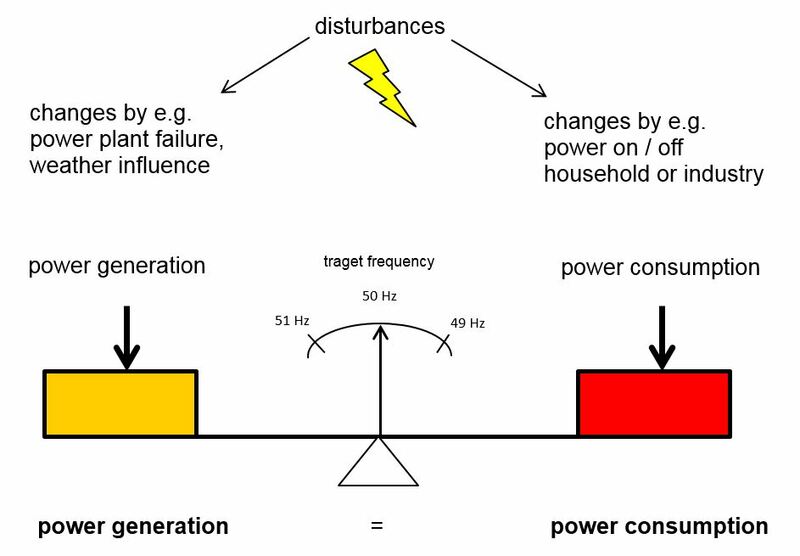 Use of stabilization of frequency fluctuations in the electricity network as value-added potential. Electric heaters are particularly suitable as a flexible control energy capacity compared to negative secondary control reserve. 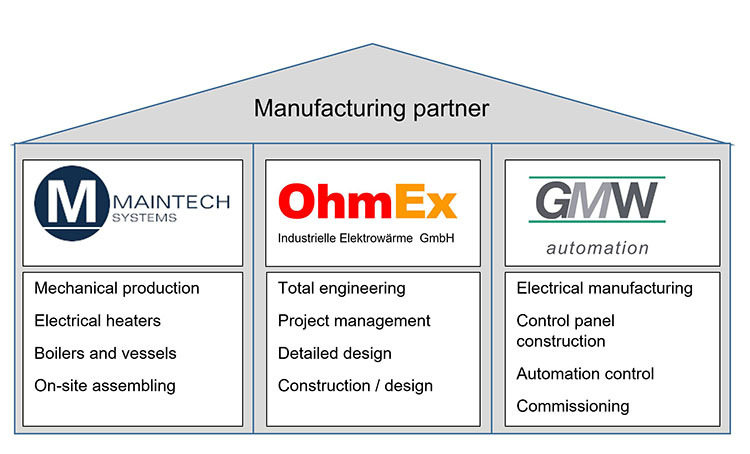 The company OhmEx cooperates with selected manufacturing partners. In doing so, we use the excellent production capacities, machine equipment and the specific know-how of our partners and put it into a whole unit.